Comfortable soft handles. 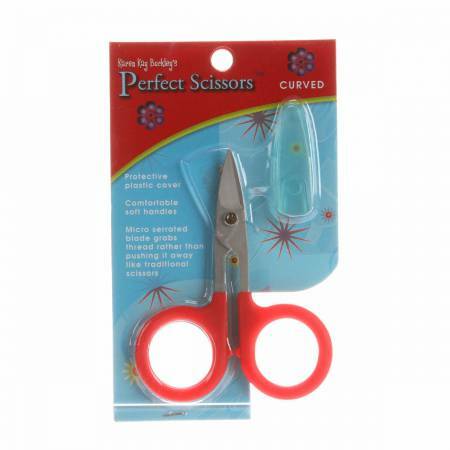 Micro serrated blade grabs threadsrather than pushing them away like traditional scissors.Comes with a protective plastic cover. Clip threads closefor sewing, embroidery, and quilting without damagingfabric.Great for cutting away stabilizer.